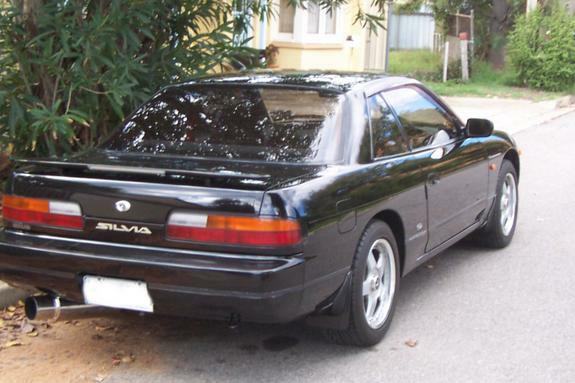 Je voulais savoir s'il y a des 240sx qui ont la même shape de tail qu'une Silvia S13. Car, j'aimerais importer un front clip d'une S13 et convertir le devant d'une 240sx pour en faire une Silvia. a 240 coupe is the same as the silvia except the front end. The silvia just has the different front end and the sr20... so really you dont need to get a whole front clip, just import the hood, fenders, lights, front bumper... etc... and get the sr20. 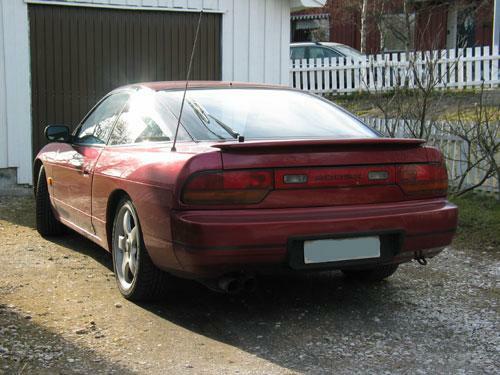 What's the year and model of the 240sx that looks like the first one ? It's a 240sx Coupe but in which years were they produced ? y'en a sur hebdo.net et occasion.ca t'en a de 89 à 91 je crois. ou en version décapotable en 91-94. T'a juste besoin d'en acheter une coupe et d'acheter un SR pour la conversion c'est la même chose quasiment! go do a search you poser! Dernière modification par G.I. Joe ; 14/05/2003 à 13h37. Not mr. know it all. that was just a really REALLY REALLY basic question. honestly. It would take less time to do the google query then to write here, wait for an answer and then look like a dolt for asking really really easy stuff. That is almost the equivilent to "do 240's have tires and do the windows roll down"
silvias were not made with this end. Dernière modification par BlackTalon ; 14/05/2003 à 16h56. double team the poser asses. remember sr20det is ok to 30 psi and 450hp on stock injectors. No it doesn't... and you engine never went in a truck.. carerful that statement pisses some KA heads off... injectors shouldn't tick. Come buy my stock Sr injectors and make your car run richer. lol. lol, are you joking about the injectors? what would be the advantages of running rich opposed to the blanced setup i have now (stock) ? sorry to all ka24de owners i was under the impression that it was the same engine installed in the older nissan pickups? hey 97_240sx i want you to take a look at my car for me and tell me if you think there are any problems... do you have any time? it never went in a truck? then why is it so commonly referred to as "a truck engine"? Cause people are dumb. lol. the sohc engine did. Never the ka24de though with piston squirters, and tons of other stuff the sohc never heard of... mostly people who haven't looked real in depth call it a truck engine. it was almost always in cars here... just the way it runs, sounds and has tons of torque tend to get it a "truck engine" name attatched to it. so the engine 89-90 sohc KA was in a truck? but hey....what the hell do i know right? Dernière modification par Stirl_ae86 ; 15/05/2003 à 12h09. Yes. Fine. Thats true... but that's not the engine in the next 7 years. Its like calling the 300z engine a maxima engine. its not.